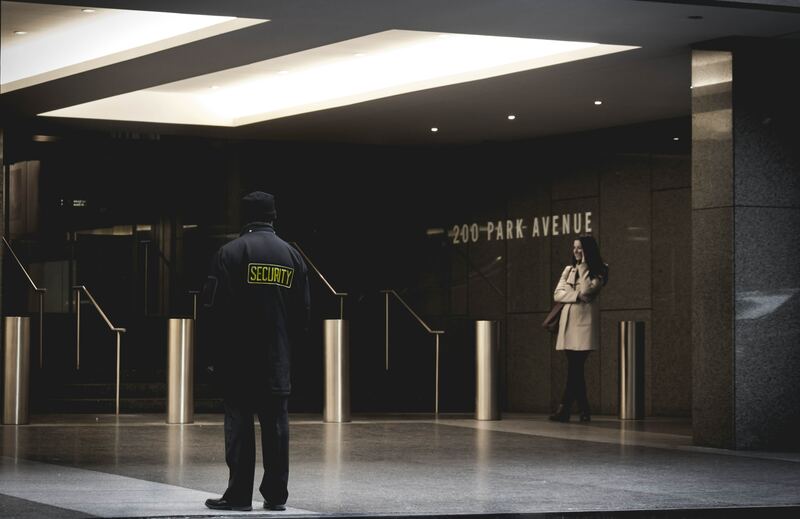 The reliance on security guards to roam the physical spaces, internally and externally, on a company’s premises is an outdated system rife with inefficiencies. The same can be said of the recent trend in security operations seeking to take advantage of camera networks and technology: central monitoring stations. Here, security operators observe a bank of video screens for hours on end and attempt to recommend actions or respond to alarms in real-time. Security guards, by definition, are primarily a reactive force. It is only when they can physically see something, or be notified after the incident has happened, that an action can be taken in response. Nationally, there are over 15 million security guards employed in enterprise settings, accounting for $40 billion in wage spend. Let that sink in. In fact, there are more privately employed security guards around the world than police officers. This blog is excerpted from our White Paper, "The AI (R)Evolution of Enterprise Security"
Workplace violence is trending upward. In 2005, only 5% of businesses reported experiencing one incident of violence in the five years prior.7 That number is now up to 27%. In this paper, we’ll explore how AI can empower enterprises to better protect their people, assets, and physical spaces. Quality employees are the lifeblood of any successful enterprise. Safety and security go a long way towards retaining and attracting high-level persons in today’s uber-competitive market. Catastrophic events, such as an active shooter on campus, are the easiest and most glaring examples for any exec considering improvements to their security system. If a solution saved one life, stopped one shooting, it would easily validate its cost. From 2005 - 2017 42% of active shooter incidents in the United States occurred in places of commerce. Currently, not much is done to actively prevent an incident of this nature until the shooter has already opened fire inside the place of business. The security team notifies the police and does what it can to prevent as much physical harm as possible while awaiting law enforcement to respond. Unfortunately, in 46% of active shooter situations the police are unable to respond within 10 minutes; and 60% of the time they arrive after the incident has ended. While the security team cannot be expected to mitigate every outside factor which may lead to someone engaging in such conduct, AI-powered video analytics provide solutions to minimize the likelihood and risk of the shooter ever reaching their destination. If the shooter was a former employee who was fired and made threats before leaving, that ex- employee’s face can be added to an active watchlist within the solution. Or, as is often the case, the shooter may have previously made threats to the business or agency. Rather than merely creating paper BOLOs that are taped to the security guard’s desk or wall, the watchlist is an alert, active, 24/7 safeguard against unwanted persons entering the premises.